Actually, I could have called this “Eliminate Your AOL Bill.” Keep reading. Once upon a time, AOL (America Online) was the Number One way for people to get online. 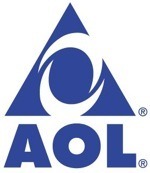 AOL provided software, an email address, and a phone number with a modem at the other end that would answer your dial-up call and put you on the internet. That was a long time ago. AOL charged for that. It makes sense that they did; if nothing else, all of those phone lines and modems cost AOL real money. So you paid, maybe $19.95 per month, maybe $14.95 per month, and if you have an AOL account that is more than a couple of years old, you probably are still paying. But you don’t have to. Turns out that AOL will give anyone a free email address. And, if you already have an AOL address, you should check to see whether you’re paying for it or not. 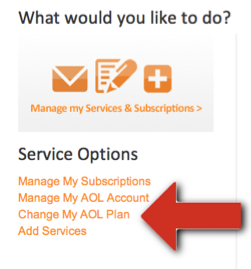 If all you want from AOL is an email address, follow this tutorial and quit paying them. It’s really easy. Step One: use Safari (or Firefox, or whatever) and go to www.aol.com. (You can do this on your computer or your iPhone or iPad. Even the PC people can do this, so tell a friend. Your friend will thank you.) 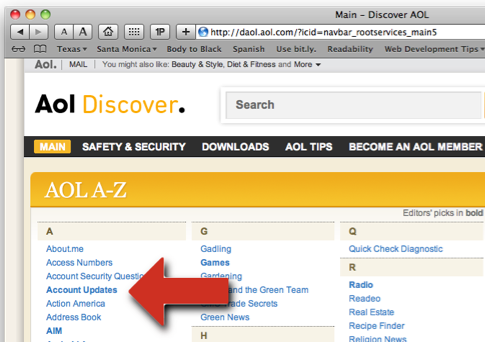 If you’re already checking your email on AOL, look for a tiny “AOL” link at top left. That’ll do it. Step Two: click where it says “SERVICES” The red arrow shows you where. You’re not going to click and hold and slide down the menu that drops down. You’re just going to click on “SERVICES” and let go. Step Three: in this screen, click where it says “Account Updates.” It’s nice and bold, at the top left. Red arrow, man. Step Five: Now for the fun part. They’ll tell you at the top what your current plan is. 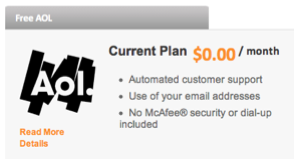 If it says anything other than “Current Plan: $0.00/month” you’re about to save some money. In other words, you’re not missing anything. So get rolling here and save yourself some money. You’ll keep your email address, and your email will keep right on working, without interruption. You just won’t be paying for it anymore. Even a few bucks a month add up. If a few bucks a month is no big deal, maybe you’d like to click the button below? Yes, it really works.